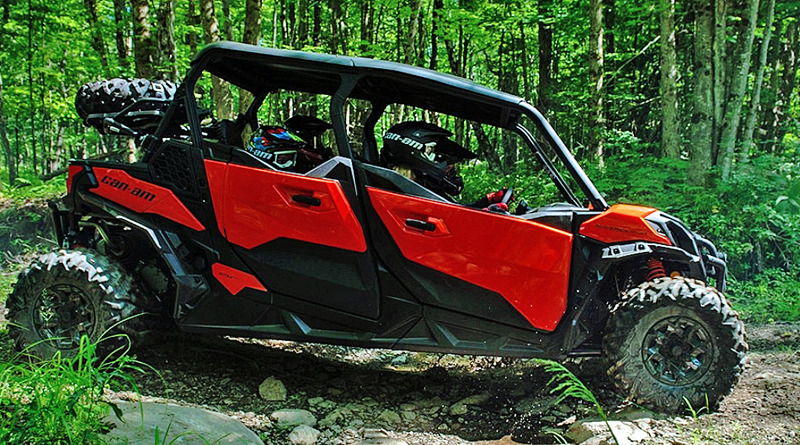 2019 Can-Am Maverick Sport Max 1000R DPS 100hp four seat side by side. 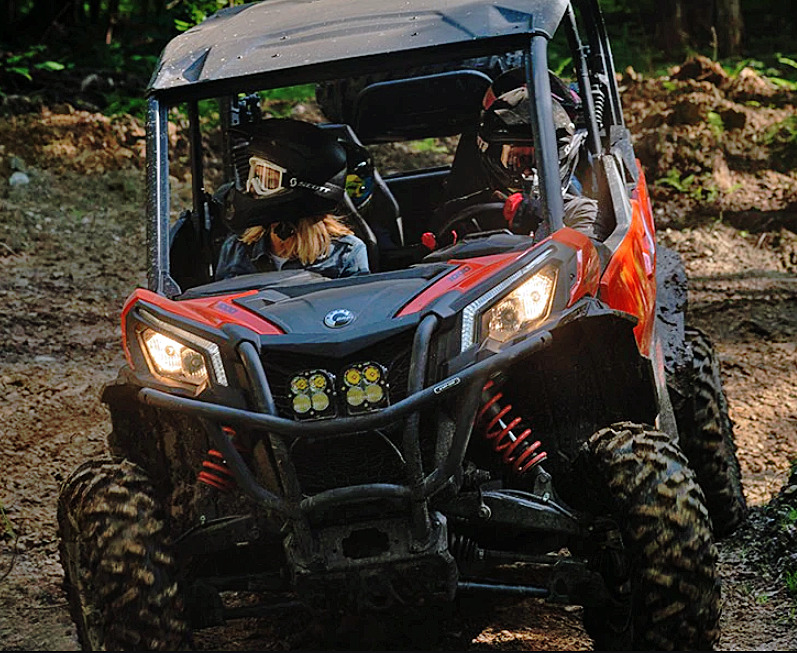 2019 Can-Am Maverick Sport Max 1000R DPS. 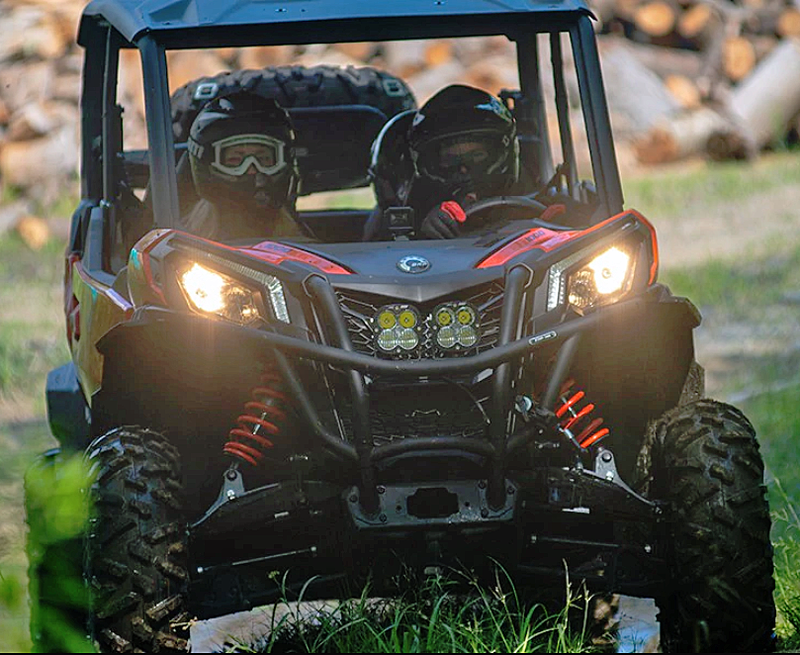 The new 2019 Can-Am Maverick Sport Max DPS doubles the fun with a four seat version of the Maverick Sport. Check out all the features below. 100hp Rotax V-twin engine with liquid cooling and electronic fuel injection and computer controlled throttle by wire. CVT transmission with electronic belt protection. Auto lock front diff with selectable 2WD or 4WD. Speed sensitive electric power steering (DPS). Tilt adjustable steering wheel. 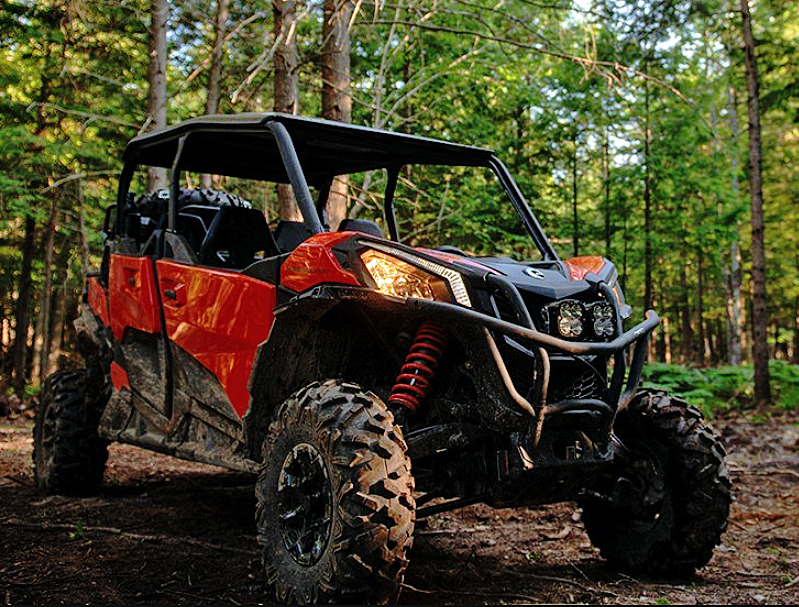 The Maverick Sport Max offers extra passenger space in a 60 inch wide side by side. Adjustable driver and front passenger seats. Rear passengers get ergonomic footrests and grab bars. 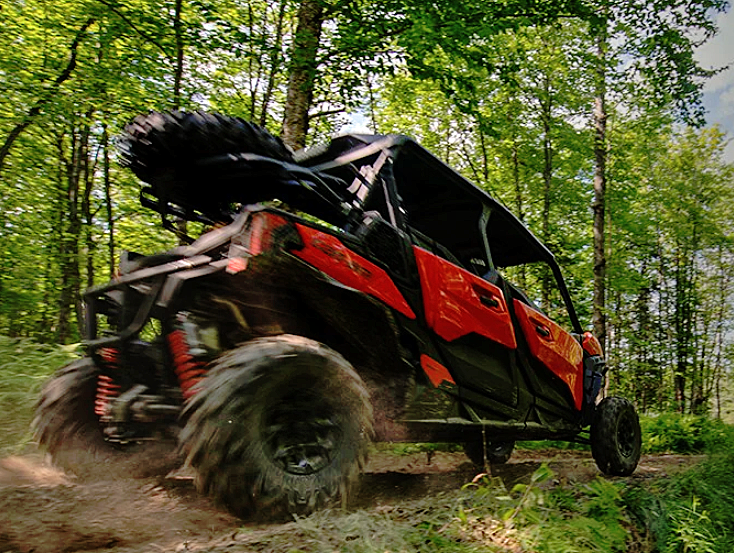 60 inch width with a longer wheelbase delivers a smooth ride on narrow trails. Fox Piggyback shocks keep it under control. 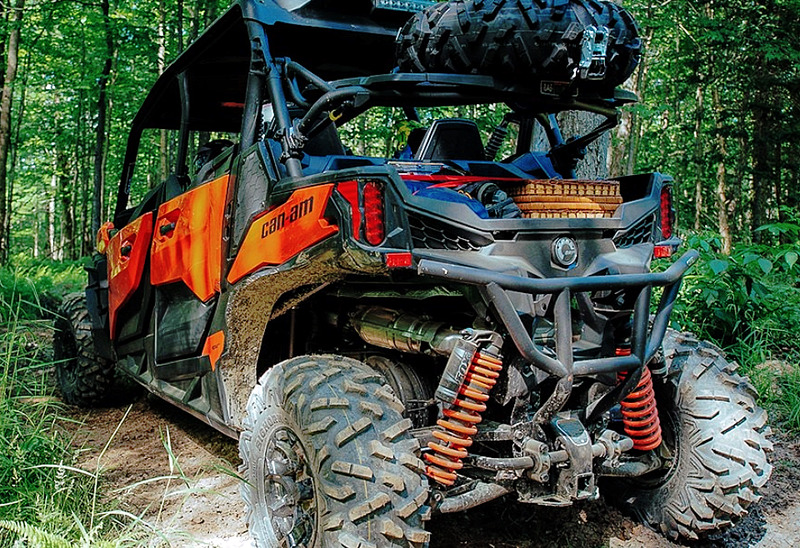 Spare tire carrier is one of over 100 accessories for the Maverick Sport Max. Stout ROPS approved roll cage, integrated front bumper, full skid plates, and mud guards provide plenty of protection for any situation. Multifunction Digital Gauge: Speedometer, tachometer, odometer, trip and hour meters, fuel, gear position, SPORT / ECO modes, seat belt, diagnostics, clock. Endurance tested 100 hp Rotax engine provides plenty of power. And it can keep going maintenance free for one year or 1,800 miles . Independent front and rear suspension with sway bars and compression adjustable Fox shocks help with stable and predictable handling. The base Maverick Sport Max has plenty of standard features, including front and rear half doors, but you can customize it any way you want with over 100 accessories in the catalog. 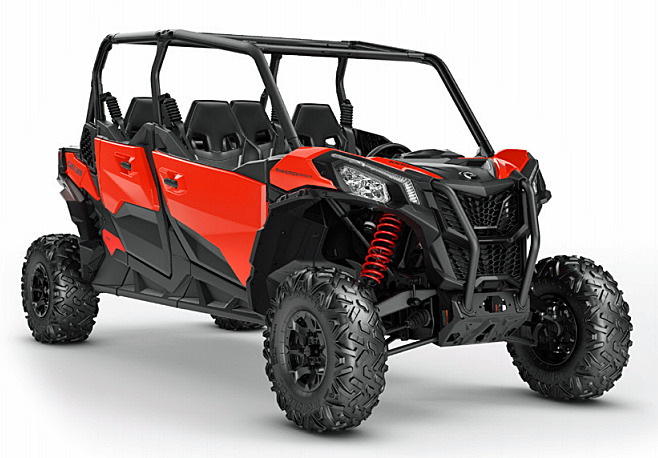 Conclusion - MSRP $18,999 for the Maverick Sport Max DPS 1000R. The four seat sport utility side by side segment gets another worthy competitor.